Babies need to eat, and many mothers have given ample thought about their chosen means to keep their children nourished. For new moms, breastfeeding is not only a natural choice, but a beneficial one. Breastfeeding is free, convenient and requires few supplies or stocks of formula. Plus, it gives mothers a chance to bond with their little ones. For a new parent, the potential for Sudden Infant Death Syndrome can be terrifying. Luckily, there are many actions parents can take to lower their babies' risks of SIDS, such as keeping their crib free of soft surfaces like stuffed animals or pillows. Breastfeeding can lower the risk of SIDS and postpartum depression. Breastfeeding is another way mothers can reduce their child's risk of SIDS, which is the leading cause of death for infants younger than one year old, according to an international study conducted by the University of Virginia Health System. The study found that a minimum of two months of breastfeeding can reduce a baby's risk of SIDS by nearly half. Further, these results are also applicable to mothers who both breastfeed and bottle feed their babies. 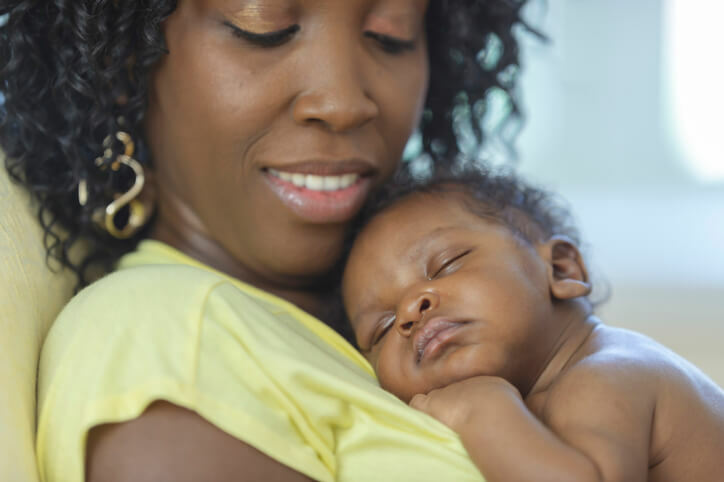 "Breastfeeding for just two months reduces the risk of SIDS by almost half, and the longer babies are breastfed, the greater the protection," Dr. Fern Hauck of the UVA School of Medicine and the UVA Children's Hospital, explained, according to ScienceDaily. "The other important finding from our study is that any amount of breastfeeding reduces the risk of SIDS - in other words, both partial and exclusive breastfeeding appear to provide the same benefit." There's no bond like the one between mother and child, and breastfeeding can strengthen this connection even more. A decade-long study conducted by the American Psychological Association found that mothers who breastfeed for longer periods of time display maternal sensitivity for years after switching to other feeding methods. Ability to read the child's cues. "It was surprising to us that breastfeeding duration predicted change over time in maternal sensitivity," Jennifer Weaver of Boise State University and the lead author of the study said, according to Science Daily. "We had prior research suggesting a link between breastfeeding and early maternal sensitivity, but nothing to indicate that we would continue to see effects of breastfeeding significantly beyond the period when breastfeeding had ended." Breastfeeding burns calories, and mothers who even eat an additional 300 to 500 calories a day may lose weight, especially weight they gained during pregnancy. Typically, a mother will lose about 15 pounds immediately after giving birth, then continue to lose one to two pounds per month for the first six months of the child's life, according to Mayo Clinic. Breastfeeding can also lower the risk of Type 2 Diabetes, the U.S. Department of Health and Human Services noted. Postpartum depression refers to feelings of hopelessness, helplessness and other depressed notions shortly after giving birth. This mental health condition affects between 13 and 19 percent of new mothers, according to Depression Research and Treatment. Previously, medical professionals believed that postpartum depression reduced the likelihood that mothers would breastfeed their children. While this may be the case, new breastfeeding research indicates this is a two-way street; by engaging in breastfeeding, new mothers may be able to reduce their risk of postpartum depression. It may also help women recover from PPD more quickly.